Simply Well – Page 59 – Health and Wellness Blog Posts for a Healthy You. Recipes, health tips, easy-to-read posts. 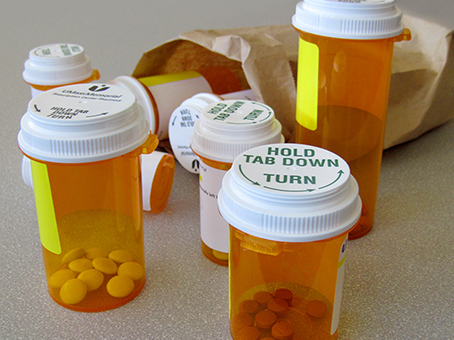 Not sure you are taking your medications correctly? Managing medication can be difficult, particularly if you are taking several and treating different conditions. Ensure that you’re taking your medicine safely and effectively with these 10 tips. Take a Pass on Annual Pelvic Exams? For many women, the yearly trip to the doctor for a pelvic exam causes anxiety and discomfort. Now new guidelines from the American College of Physicians may allow you to skip the stirrups this year. Reuters Health rece ntly published an article on ways to keep kids hydrated. While the tips are geared to help children stay hydrated, they certainly can be used for adults too. Read these seven tips to ensure you and your kids get the recommended intake of fluids. Join the conversation. How do you keep yourself hydrated? Do you have any tips or suggestions to add to the list of seven? Can We Talk? We Hope So! That’s why we created Simply Well … the new UMass Memorial Medical Center blog for people like you. Tell us what’s on your mind. What are your important health questions? Do you have practical advice to maintain a healthy lifestyle? Or do you want to hear more about balancing family and work outside the home? Maybe you’ve figured out the secret to life? From parenting to wellness to midlife and everything in between, you can find advice and a place to share your opinions, tips and successes.